Shift features a simple colour scheme changer, allowing your members to choose their own colour combination from a preset array. Perfect for any community, it's very easy to set custom default colours or even add/replace the existing preset colours with your own! 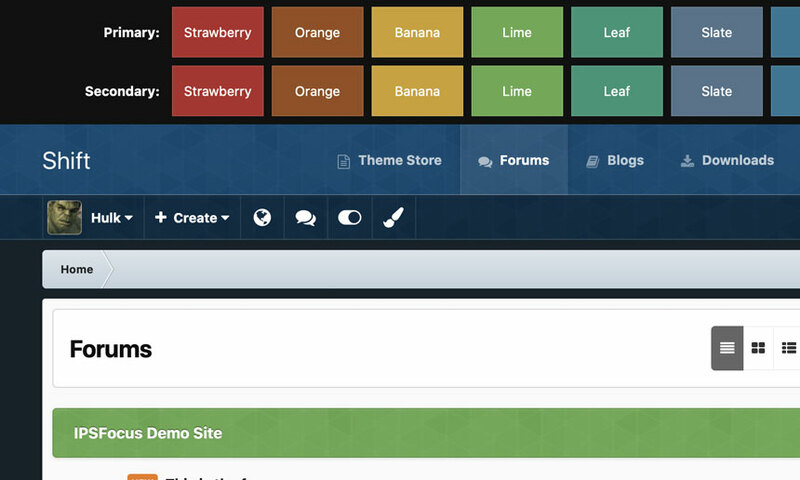 This theme has only 3 modified template files, which means in most cases, you will not need to install theme updates between IPS versions. Too easy! A customizable message can be shown to guests, prompting them to either register or login to your forum.